A few weeks ago I made brown sugar popovers , a recipe featured in the most recent issue of Boston magazine. 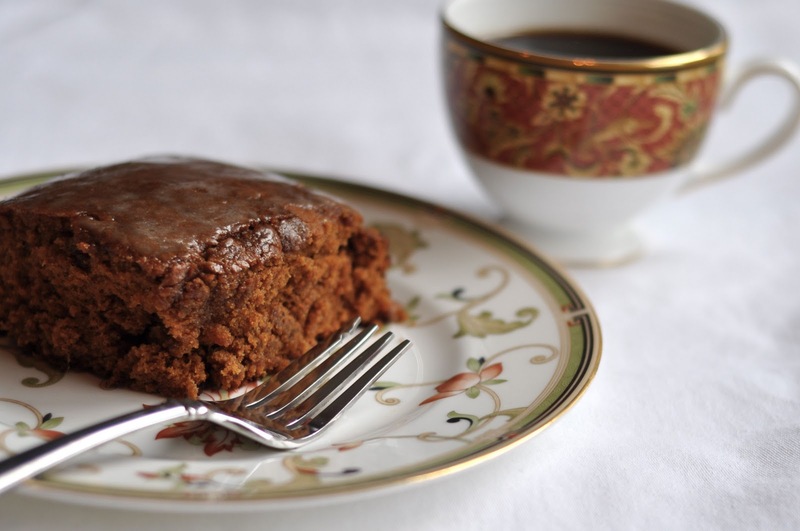 And this recipe for dark spicy gingerbread with coffee glaze was also featured and I knew I had to try it. Both of these delicious recipes are from Joanne Chang's new book Spectacular Recipes from Boston's Flour Bakery + Cafe. The book has been selling so well that it was unavailable for a while, but I finally ordered my copy today and I can't wait to start making more of Joanne's recipes. 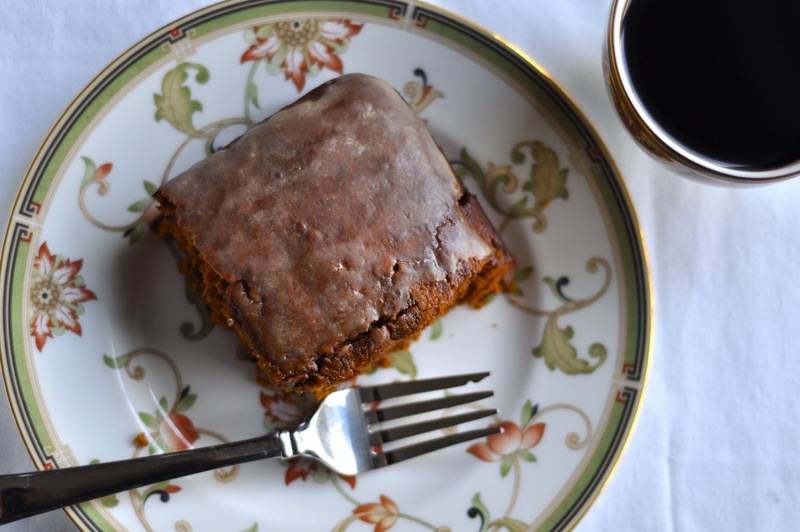 Ariyana and I made this spicy gingerbread cake on Saturday and it turned out moist and not overly sweet. The intense flavors of the cake are attributed to the fresh and ground ginger, cinnamon, cloves, and teaspoon of black pepper. I enjoyed the cake with a cup of coffee and Ariyana had hers with a glass of milk. This was a perfect combination on a cold and lazy Saturday afternoon.